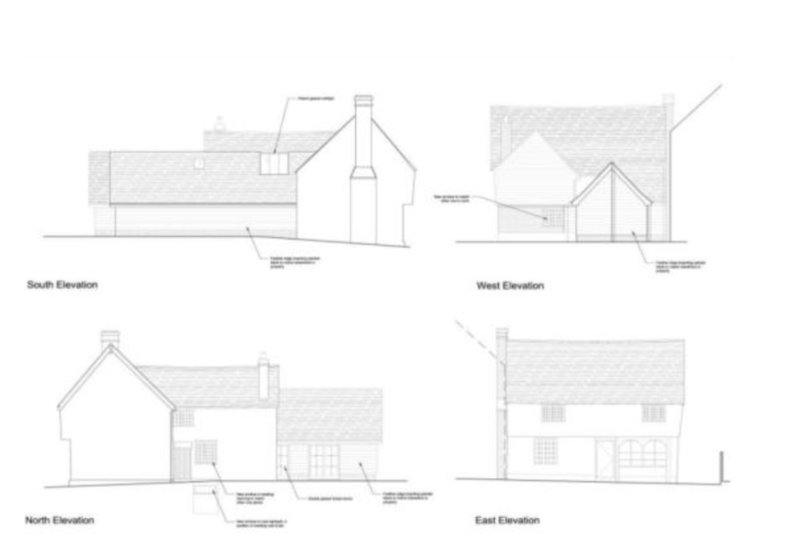 If 2018 is the year when you would like to take on a new project such as renovating a house then Intercounty Bishop’s Stortford have a renovation property in the popular village of Much Hadham with planning permission already granted. The property is Grade II listed, built in 1495 it is one of the oldest properties. The property needs complete refurbishment inside and out but would give a buyer the opportunity to put their own stamp on it as well as being able to add value by modernising and improving it. The current layout comprises of two double bedrooms with a first floor bathroom, and on the ground floor there is a good sized reception room, kitchen and a basement which could is ripe for conversion. The current owners have obtained planning permission for a single storey extension, which would double the ground floor size. The house is has an enclosed, private rear garden and a large driveway. Plans and planning consent are available on request. For more information please call Intercounty Bishop’s Stortford on 01279 949083. One of the best ways to add value to a property is to take on a renovation project such as this. Obviously the success of a project like this in terms of monetary rewards are depends on how much you intend to do yourselves verses how much you pay a professionals, plus making sure that you get the best deals on any purchases and so fourth. Taking on a Grade II property will also mean that you will have to work hard to make sure the changes you make conform to planning, often involving a higher quality product which is more expensive than if you took on a renovation project which does not involve such rigid conformity. However this is a truly individual property so a successful renovation could be potentially a truly rewarding one. If you would like any help and advice on renovating a property or you would like some more property suggestions then why not ask your experienced Essex and Herts Estate Agent Intercounty. Just pop into one of our branches for a chat and a coffee or call our team on 01279 655243.